The other day a plumber came over to fix a leaking valve. He asked me what I did. 'I'm a web developer', I said. 'I'm creating a new type of social network', I said. The plumber said, 'I didn't think there was any more room in the market for those'. Facebook now has so many subscribers, it's hard to see what the future holds for the rest of us. Facebook must be given some credit for it's success, but often success just breeds success. Once something gains momentum, people don't want to be left out. This is probably the main reason why Microsoft became a giant. It's only natural for people to want to use what everyone else is using. The thinking behind billion7 is that people would use a variety of different websites, and billion7 would be the central hub, where you let everyone know where you store your photos, or home page on the web. It's hard to imagine facebook's dominance being replaced with something else now. It's not inconceivable though. Empires do fall, and fashions do change. Economist will tell you that when something becomes so fashionable that everyone is using it, then it will become unfashionable. One of the most important drivers behind billion7 is that it's kept up-to-date. When you stop using one website and start using another don't forget to update your profile. Billion7 relies completely on you to keep your profile page up-to-date. And that includes your photo. I hope that one day somebody will leave a comment on the blog. There's no shortage of websites now offering the ability to use code and embed it in other websites. If you have a blog you may have already embedded videos or photos from websites like YouTube and Flickr. You can also embed Google maps, or audio players from websites like SoundCloud. I've often thought it would be nice to have one place where I can collect my favourite bits of code. I've found some great looking clocks, so now I've got a digital clock showing the time in my timezone on my profile page. To start collecting code, sign in and go to your Embed page. Michelle Obama in Haiti from The White House on Vimeo. We've started work on a mobile version of billion7. It's a long way from being complete, but we'd like you to start using it. Each page needs to be crafted to fit on a smaller display, so it will take us a while to build up the mobile version. If you find it useful please let us know. In a few years time the lyrics will have to be updated to, 'seven billion people in the world'. I wonder how many bicycles are in Beijing. Maybe the song title needs to be updated as well. We have installed a new mp3 player for everyone to use. The mp3 player from www.epplayer.com must be the best Flash mp3 player on the web. It's was easy for us to adapt for use on billion7. I hope to create some new skins for the player one day. It does support displaying artwork in the player. Let us know if you'd like to be able to upload artwork for your mp3's. 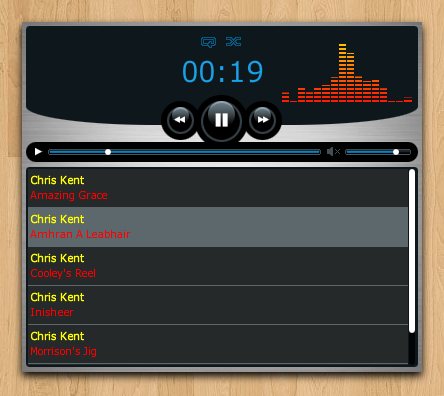 We've added a new option which allows you to display the mp3 player on your profile page. You can always switch this option off in your audio settings page. It's now possible to completely customise the background of your photos page. 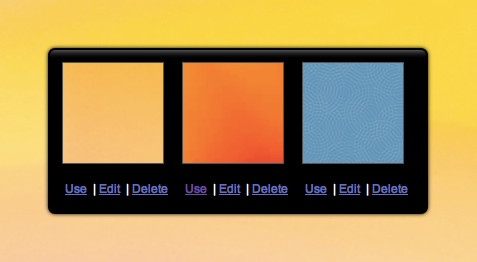 You can choose any color, or you can upload your own background image. This is a feature that I don't think any other social network offers. I've experimented with different backgrounds for my photos, and came the conclusion that having a plain white background just looked a bit boring. Maybe some people think a plain white background is fine. It's fun experimenting to see what sort of background works well with your photos. What background are you going to use? Your profile page is now even more customizable. Is customizable a proper word? My dictionary doesn't think so. Oh well, spelling never was my strong point. Anyway, the point I'm try to make is that you can now add even more eye candy to your profile page. Upload an image of your choice and make your profile stand out from the crowd. The same background options will soon be available for your photos page. You can now add a comment to someones bookmark. Bookmark comments can be deleted at any time by the person who added the bookmark, or by the person who wrote the comment. If someone adds a comment to one of your bookmarks, you will be notified by email. So you want to know what all of your contacts have been up to? What do you mean you don't have any contacts? It's really easy to add a contact. Just go to their profile page and click on the 'Add/Remove Contact' link. Now, where was I. Oh yes. Activity. We've now added an activity page to your profile. This is a news feed of what your contacts have being doing. It's now going to be really easy to see when your contacts have uploaded some new photos or added some new bookmarks. What's great about the activity records is that you have control over what activity is shown. Say for example you added a new entry to your diary, but you don't think it is something that your contacts would be interested in, you can easily delete the activity record.